Glenn Cockrell is a 26-year veteran of Music Education in Virginia. Educator, Musician, and Production Artist Glenn Cockrell is innovative, creative, and motivational. During his tenure in Fairfax County his program received numerous accolades. In recognition of music and educational excellence, his program at Chantilly High School earned distinguished acknowledgement from Downbeat Magazine, The National Academy of Recording Arts and Sciences Grammy Signature School Program, The Virginia State Senate and House of Delegates, The Virginia State Governors Office, The Virginia Music Educators Association, and numerous national music festivals across the nation. Among the most notable honors was the selection of the “Touch of Class” show choir as “America's Favorite Show Choir” by Parade Magazine in 2010-2011. Professional venues have included The Arena Stage, D.A.R. Constitution Hall, and the Concert Hall as well as the Opera House of the John F. Kennedy Center for the Performing Arts. Glenn holds a Bachelor of Music Education Degree from James Madison University. His continuing education has included Master's course work in Musical Theater, Electronic Music and Composition, Conducting, and Theological Studies in the Master of Divinity program. 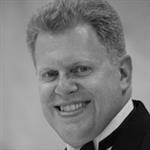 Glenn is an active member of NAFME and ACDA and serves as Show Choir Repertoire and Standards Chair for the State of Virginia.